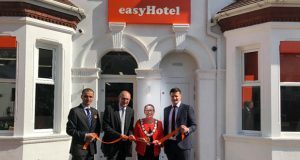 The Right Worshipful the Mayor of Reading, Councillor Debs Edwards, officially opened the new 53-room easyHotel Reading with a ribbon cutting ceremony on 17 September. The Mayor received a tour of the newly built super-budget hotel, before cutting the orange ribbon alongside the hotel’s general manager, Ignacy Mirkowicz. 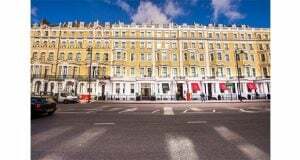 They were joined by Stuart Bailey, CEO of Splendid Hospitality Group, which constructed and now operates the hotel under a franchise agreement with easyHotel, and Splendid Hospitality Group Select Service director of operations, Andrew Kendrick. 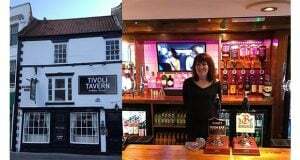 With simple and vibrant design, the hotel offers the ideal base for traveller’s seeking low-cost yet comfortable accommodation. Located on Caversham Road, its central location is within walking distance of Reading station and the popular Oracle shopping centre. Room rates start from just £19.99 per room, and bookings made through the easyHotel app are eligible for an additional 5% off.